I really hope you guys like this story so far. It&apos;s heard to think of what to write for the next chapter. If you like you can send me a message to help me with the story. Please and thank you. Today&apos;s the day we go to England and I can&apos;t wait for it and I can&apos;t wait to see One Direction. Especially Niall. He is my celebrity crush. Ever since I seen them on X-factor. I vote for them online. Ashton said Niall is really great guy to hang out with. 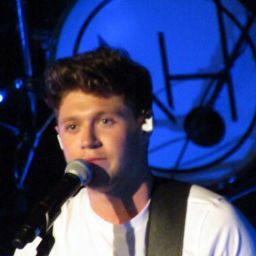 He is so funny and I can&apos;t wait to see him and get a Horan hug off of him. I&apos;m waiting for Ashton to come back from the shop because he said he wanted new shoes for traveling in. Don&apos;t ask why he is getting new ones. It&apos;s not like he has his own styles for the tour. Well any ways I&apos;m sitting down watching telly. My favourite TV show Home and Away. If you guys don&apos;t know what I&apos;m talking about then please google it or maybe watch the show. Someone sat down next to me and I didn&apos;t look because I&apos;m so busy watching Home and Away to look who it is. But I think it&apos;s Harry because he is the only one in the house right now. Amy and Tim took Ashton to the shop and they wanted to spend time with he before he went off on tour again. "Yeah" without looking away for the telly. "I&apos;m going to miss you were you gone. Who am I going to play the playstation with" he said. This made me look at him and he looked really upset about it. "You can play with your friends Harry and we can play online too" I replied to him. "You are right and I forgot we can do online. Thanks" he said. I heard the front door opening and Ashton then ran in and jumped on top of Harry and I. "Stop shouting Harry" Amy said while walking in. "Well tell Ashton to get off of us please Mam" Harry said to his Mother. 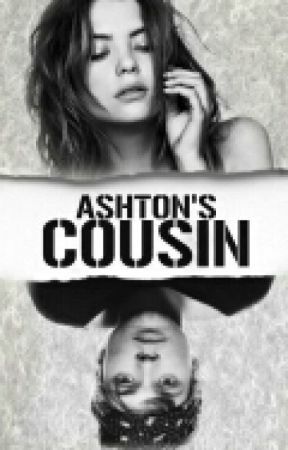 "Ash get off of your brother and Lisa please and go finish packing your bags" Amy said to Ashton. "Lisa hasn&apos;t packed her bags yet" Ashton said. "Yes. I have. When you were gone to get your new shoes I packed and I packed some of my things last night too" I said back to Ashton. "Can you help me please Lisa" he said while getting down on his knees. "Go pack your own bags Ashton. How did you pack them for the other time" I said. "I got Luke to pack them for me. He&apos;s like my little slave on tour. He does what I want him to do for me and now that your going on tour with us you can be my new slave" he said all happy with himself. "I&apos;m got going to be any ones slave. So you can forget the idea about that" I said back to him and walked up stairs to my room to make sure you I didn&apos;t forget anything. "A please help me. I&apos;ll pay you or I&apos;ll get you anything you what for the whole tour" he said while following me up stair to my bedroom. So after a lot of begging and asking me what I wanted for the whole tour. I said yes to Ashton for helping him pack his bag. "I say you are excited to go to Ireland when we toru there" Ashton said to me while he sits on his bag while I zip it up for him.